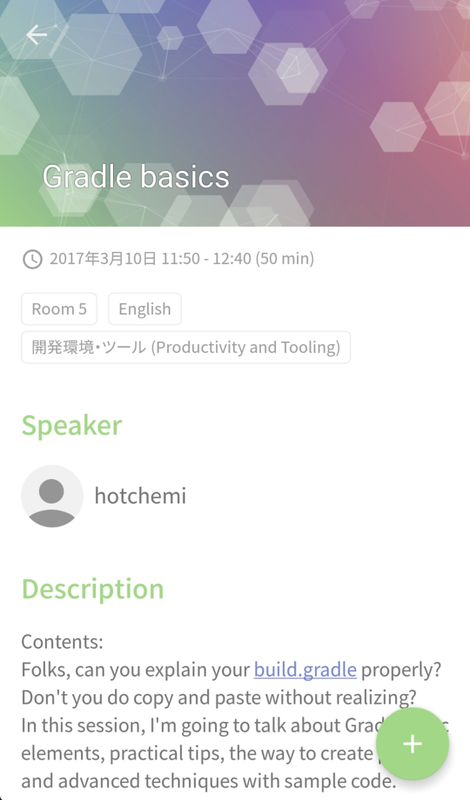 DroidKaigi 2017 is a conference tailored for developers on 9th and 10th March 2017. We use waffle.io to manage tasks. If you'd like to contribute to the project but are not sure where to start off, please look for issues labelled welcome contribute. We've designated these issues as good candidates for easy contribution. You can always fork the repository and send a pull request (on a branch other than master). We do accept suggestions for translations at this page. This app depends on several libraries and plugins so make sure to set them up correctly. Tests are written in Kotlin! BindingAdapter like photoImageUrl is written in DataBindingHelper.java. Some model classes in model package having @Table annotation. These classes are saved and updated in database via repository/XXXLocalDataSource. 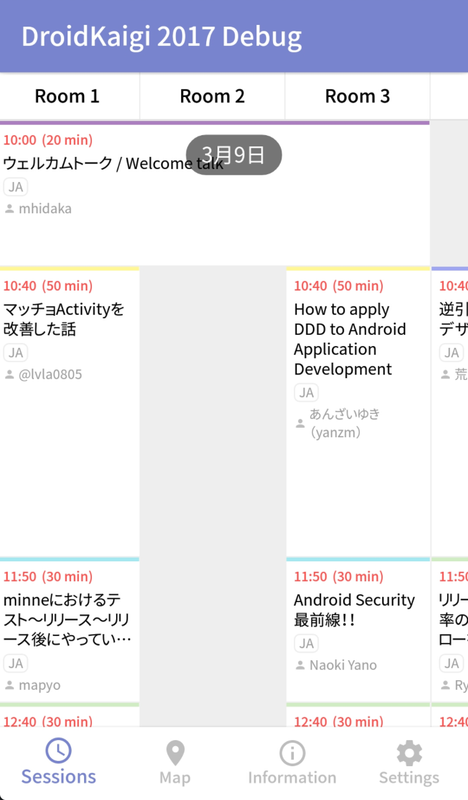 To know more about Android-Orma, see document. This app uses an simple MVVM (Model-View-ViewModel) architecture using DataBinding, dependency injection and OR-mapper. They are converted from API json response via Retrofit2, and stored to Database via Android-Orma. "View" is not only layout xml file. Activities and Fragments are also "View". "View" is refreshed by viewModel when onResume() is called. "ViewModel" has all properties which is shown in "View". They are bound by DataBinding. In this app, setText(), setImageResource() or setVisibility() are not used. The events such as OnClickListener() are also bound by DataBinding. 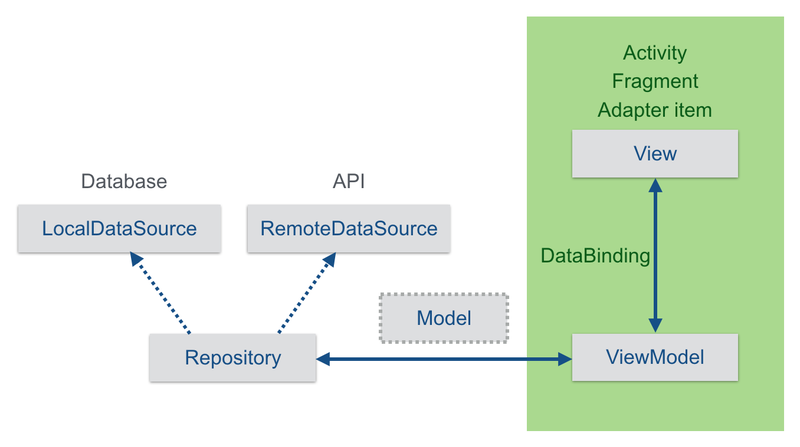 If it's necessary to load data, "ViewModel" uses Repository class or DefaultPref class which are provided by Dagger2.